Departmental Summary: The Health Information Management Departments provide many services to our multi-hospital organization including: prepping, scanning and indexing, physician deficiency analysis, release of information, medical record maintenance, facility and profee coding, and medical transcription. Position Overview: The Coding Specialist III at St. Charles Health System is responsible for coding/abstracting inpatient records. This position does not directly manage other caregivers, however may be asked to review and provide feedback on the work of other caregivers. Read and interpret documents contained in the medical record to identify and code all relevant diagnoses and procedures by utilizing an encoder program, and following National and St. Charles Health System coding guidelines, Coding Clinic, and other appropriate coding references and tools to ensure proper code assignment. Abstract medical record information in compliance with CMS requirements and St. Charles Health System abstracting procedures. Use available tools to check entries for accuracy. This may include data for clinical studies and quality management activities. Select principal diagnoses and procedures in accordance with coding and UHDDS standards, CMS requirements, and prospective payment systems. Ensure that correct MS DRG is assigned for proper hospital reimbursement. Ensure that APR DRG severity of illness and risk of mortality values are accurate for reporting purposes. Query physicians for clarification when conflicting or ambiguous information is present by following appropriate St. Charles Health System procedures. Assign Present on Admission (POA) indicator accurately for each diagnoses coded, per CMS requirements published in official ICD-CM coding guidelines, and if uncertain, query the physician. Accurately assign discharge disposition code, paying particular attention to post-transfer program DRGs for proper hospital reimbursement. Plays an active role with the CDI (Clinical Documentation Improvement) team ensuring chart documentation meets the necessary requirements for accurate coding and reimbursement. Conducts all activities with the highest standards of professionalism and Complies with all applicable laws, regulations, policies and procedures, supporting the organization’s corporate integrity efforts by acting in an ethical and appropriate manner, reporting known or suspected violation of applicable rules, and cooperating fully with all organizational investigations and proceedings. Required: Must possess a valid Registered Health Information Technician (RHIT) certification or one or more of the following: RHIA, CCA, CCS, CCS-P, CPC, CPC-H. This position will require the caregiver to maintain required educational credits (CE) through AHIMA or AAPC. Must have a valid Oregon driver’s license and ability to meet St. Charles Health System driving requirements. Ability to travel to all St. Charles Health System worksites. Required: 3 years of hospital coding experience. Knowledge of ICD-10 CM and PCS code assignment. Knowledge of MS DRG and APR DRG reimbursement methodology. Knowledge of Present on Admission “POA” assignment. Knowledge of CPT-4 code assignment. Knowledge of CCI and MN edits and APC grouping. Knowledge of modifier and revenue code assignment. Maintains professional knowledge by attending educational workshops, reviewing professional publications, participating in educational opportunities. Demonstrates St. Charles Health System values of Accountability, Caring and Teamwork in every interaction. Must have excellent communication skills and ability to interact with a diverse population and professionally represent St. Charles Health System. Ability to effectively interact and communicate with all levels within St. Charles Health System and external customers/clients/potential employees. Must have a positive attitude, ability to multi-task, pay close attention to details, and be able to act in a professional manner and demonstrate excellent public relations skills. Ability to work in a fast paced work environment with frequent interruptions, maintaining the highest level of confidentiality at all times. Ability to multi-task and work independently . Required: High School diploma or GED required. 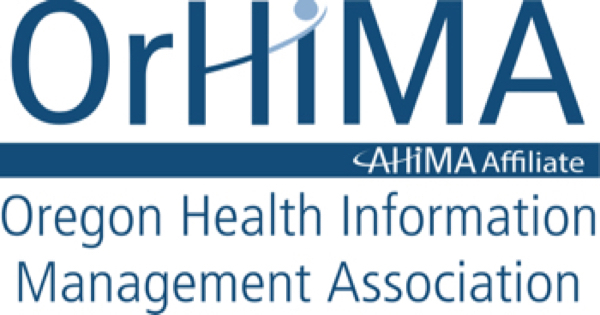 Graduate of an AHIMA Accredited Health Information Technology program or certification in a self-study course from AHIMA or AAPC required. Please submit your resume and cover letter on our online careers website for St. Charles Health System in Bend, OR. You can search by the requisition number of R1002933. We are credentialed HIM and medical professionals and experienced support staff -coders, auditors, trainers, clinicians, recruiters and IT technicians – about 100 strong across the nation. We are led by a veteran management team, and united by a common approach, mission, and vision – see below. Our headquarters is in Laurel, Maryland. We have served customers at more that seventy sites in more than 40 states across the U.S.
HCRS believes that healthcare in the United States has entered an era of rapidly rising expectations. Our goal is to provide you with the -high quality coding, audit and staffing services you need to deliver the measurable results and competitive cost performance for which your customers will be holding you increasingly accountable. We take on each customer’s mission as our own, working as a partner with you to identify opportunities for improvement and to create long-term solutions. We do what it takes to help you provide outstanding quality and cost-effectiveness to payers and clients alike. We pride ourselves on dependability, reliability and affordability. We deliver what works. We help healthcare organizations improve data quality, program outcomes and organizational performance. The primary purpose of this position is to serve as an Outpatient Medical Coder who’s responsible for assignment of accurate Evaluation and Management (E&M) codes, ICD diagnoses, current procedural terminology (CPT) and Healthcare Common Procedure Coding System (HCPCS), modifiers and quantities derived from medical record documentation (paper or electronic) for outpatient encounters. Trains and educates MTF staff on coding issues and plays a significant role in coding compliance activities. Registered Health Information Technologist (RHIT) or Registered Health Information Administrator (RHIA), Certified Professional Coder (CPC), Certified Outpatient Coder (COC), Certified Coder Specialist (CCS), Certified Coder Specialist – Physician (CCS-P) are preferred for outpatient/ambulatory surgery medical coders as long as candidate has a minimum of three year experience in the outpatient setting (physician’s office or ambulatory care centers) within the last five years. An accrediting institution recognized by the American Health Information Management Association (AHIMA) and/or American Academy of Professional Coders (AAPC) must accredit education and certification. A minimum of three years’ experience in the outpatient setting (ambulatory care centers) within the last five years is required or a minimum of two years if experience if that experience was in a military treatment facility. Multiple specialties encompass different medical specialties (i.e. Family Practice, Pediatrics, Gastroenterology, OB/GYN, etc.) that utilize ICD, E&M, CPT, and HCPCS codes. Ancillary specialties (PT/OT, Radiology, Lab, Nutrition, etc.) that usually do NOT use E&M codes do not count as qualifying experience. Additionally, coding, auditing and training exclusively for specialties such as home health, skilled nursing facilities, and rehabilitation care will not be considered as qualifying experience. Coding experience limited to making codes conform to specific payer requirements for the business office (insurance billing, accounts receivable) is not a qualifying factor. PeaceHealth is hiring a Manager Clinical Documentation Integrity! Are you looking for a new position where you can utilize your knowledge of Compliant Documentation Program Management guidelines? Do you have a proven track record for successfully providing leadership within a CDI environment? Are you interested in making a career change, so you can be part of a mission-based organization dedicated to provided quality care to its local communities? Located in the beautiful Eugene, OR area, this position is a hands-on leader who manages the daily operations of the CDI program and reconciliation process. Within an advisory capacity, this position works to resolve outstanding CDI issues and needs for their assigned region. A true problem solver, this position provides CDI staff any needed resources in addition to collaborating outside of the department to provide education. Eugene and its sister city, Springfield, are adventure-driven destinations. Find yourself hiking to spectacular waterfalls or along the nearby ocean beaches, rafting and kayaking in white water, cycling through wine country or along the many miles of bicycle paths. It truly is one of the most desirable locations in the Pacific Northwest to live, work, and play. Interested? To learn more and to apply, visit: jobs.peacehealth.org and search Req # ID: 166695.